Welcome to the Mississippi Department of Agriculture and Commerce “Employment Opportunities” page. We appreciate your interest in working with our agency. MDAC is recruiting for the following position(s). 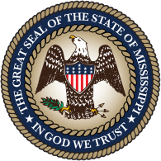 The qualifications for positions with MDAC are detailed in job descriptions available through the Mississippi State Personnel Board. Additionally, MDAC has publications outlining general job descriptions for some MDAC jobs – Select the highlighted pdf to review the agency job description. If you need more information about the application process please contact Lauren Tunberg at 601-359-1152. MDAC is an equal opportunity employer and provider of programs and services.